Downy should put this in an ad....Anyways, I'm getting sidetracked. There's an evil toddler week going on and I was wondering if you could make a meme for it. I'm sure it will be great! "Oh Percival, 'tis true that thou doth love me! 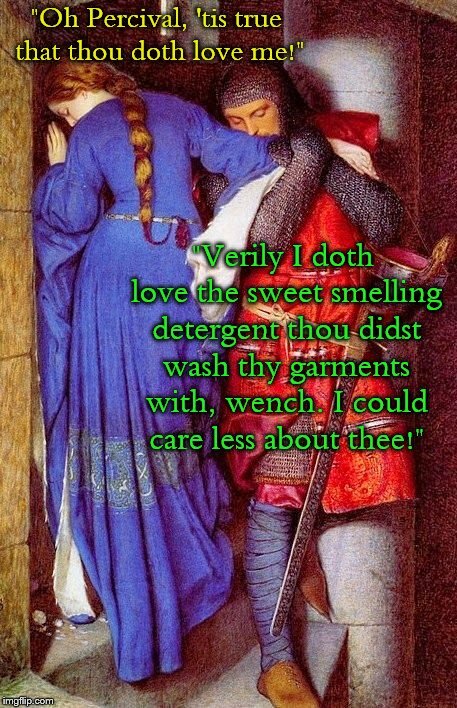 "; "Verily I doth love the sweet smelling detergent thou didst wash thy garments with, wench. I could care less about thee!"